When it comes to your wedding, all eyes will be on you for just about every moment of the big day. There’s perhaps no moment during your reception more important than your first dance. It’s when you’re proudly on display as a couple and every person in the crowd eagerly looks in your direction. 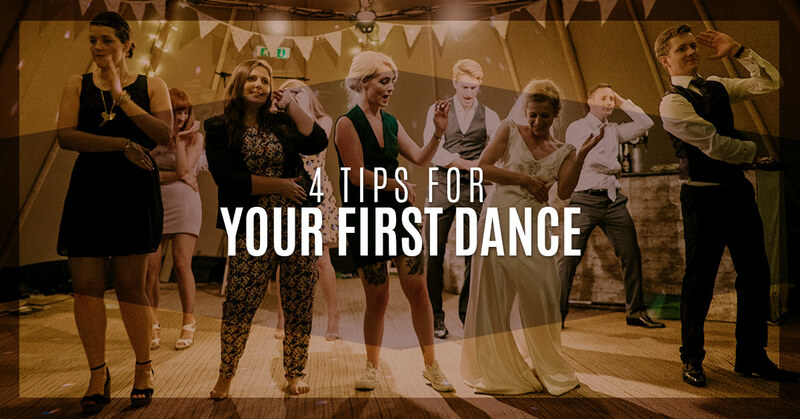 Because your first dance involves some coordination — namely, hand-eye coordination — it can be particularly anxiety-inducing. Luckily, with a bit of planning and rehearsal, you can prepare for your first dance so that it’s seamless, romantic, and, most importantly, not awkward. Consider these tips to feel more at ease before and during your first dance! It’s hard to dance to a song that you don’t absolutely love. It’s as simple as that. Instead of worrying too much about whether a song is too fast or too slow, too overused or too unheard-of, just think simply about what song you and your partner absolutely love. What song do you sing together in the kitchen? What song reminds you of dancing in the living room with your special someone? Once you have the song, you can choose the type of dance that works for it. You can dance to just about any song, so it’s mostly important to choose one that you just love. Just because you might not be doing an choreographed to Michael Jackson’s “Thriller” doesn’t mean you can skip the practice. If anything, practice will help you to be comfortable going through the motions. If you can, try to practice at least in the shoes you’ll be wearing and at the wedding venue of your choice. This way, you’ll know exactly what to expect when the moment arrives. Unless you and your partner happen to be professional ballroom dancers, it’s hard to captivate an audience for much longer than three minutes. Keep this time frame in mind so that your guests don’t lost interest — and so you’re not the only ones on the dance floor. It’s great to have the DJ or MC invite up people to dance after a few moments, and then to keep the party going once people are on the dance floor. If you don’t want a separate parent dance, you could invite up parents and the wedding party to dance alongside. It’s one thing to dance around your living room in pajama pants and another entirely to dance in your wedding ensemble. If your wedding dress has a long train, consider changing into a reception-appropriate outfit that’s easier to dance in. If you prefer to wear the same dress, just bustle it so that you don’t trip over the train. Alegria Gardens is the Top Rated Local® wedding venue in Katy — now with two reception hall locations open! Before you perfect your dance and finalize your seating chart, book with a wedding venue that brings a taste of Paris to Katy.